The Secretary for Justice, Mr Rimsky Yuen, SC, said today (November 15) that in taking forward the 13th Five-Year Plan and the Belt and Road Initiative, it is expected that there will be a growing demand for professional cross-boundary legal and dispute resolution services. In this aspect, Hong Kong can provide professional and diversified services to assist mainland enterprises to properly manage legal risks and resolve cross-boundary trade and investment disputes. He was speaking at the Opening Ceremony of the 4th Hong Kong Legal Services Forum held in Nanjing. Mr Yuen pointed out that common law plays an important role in the international business community, and that Hong Kong, as the only place where common law is practised in China, has law which is in line with international standards in many legal areas, including the law concerning business, financing, corporate governance, shipping, intellectual property and international arbitration. Furthermore, the legal system is relatively similar with many common law jurisdictions along the Belt and Road. Hong Kong's other advantages include the availability of international and diversified legal services, and the presence of a number of reputable international arbitral institutions in Hong Kong. In addition, arbitral awards made in Hong Kong are enforceable in more than 150 places under the New York Convention. This extensive network is one of the important reasons why many parties choose to conduct arbitration in Hong Kong. 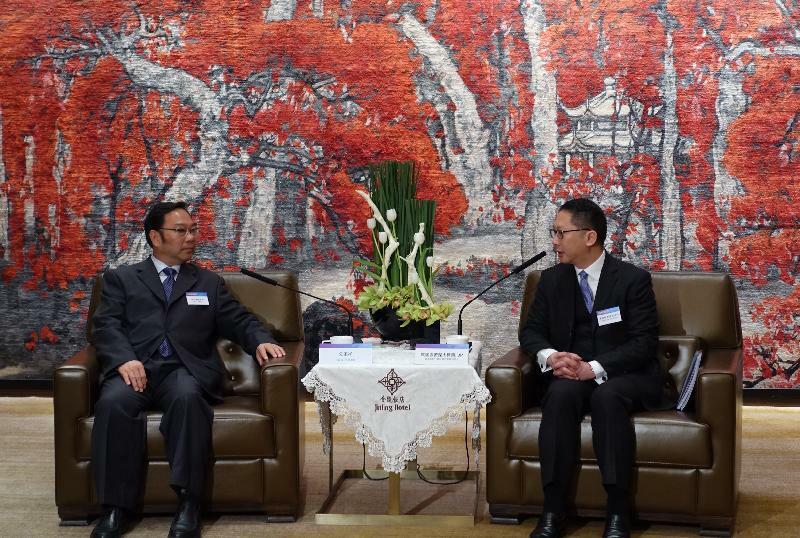 Mr Yuen said, "I look forward to further enhancing the co-operation on the foundation built up between Hong Kong and Jiangsu in the past and also actively exploring a platform for closer co-operation on opportunities arising from the Belt and Road Initiative." The biennial Legal Services Forum was organised by the Department of Justice, and co-organised by the Hong Kong Trade Development Council, the Hong Kong Bar Association, the Law Society of Hong Kong, the Hong Kong International Arbitration Centre, the International Court of Arbitration of the International Chamber of Commerce (Asia Office), the China International Economic and Trade Arbitration Commission Hong Kong Arbitration Center and the China Maritime Arbitration Commission Hong Kong Arbitration Center. Today's forum, with the theme "Jiangsu · Hong Kong - Together we seize global business opportunities", aimed to promote Hong Kong as a leading international legal and dispute resolution services centre in the Asia-Pacific region and the latest development thereof, as well as highlight the international legal and dispute resolution services that can be provided by Hong Kong in the context of the Belt and Road Initiative. 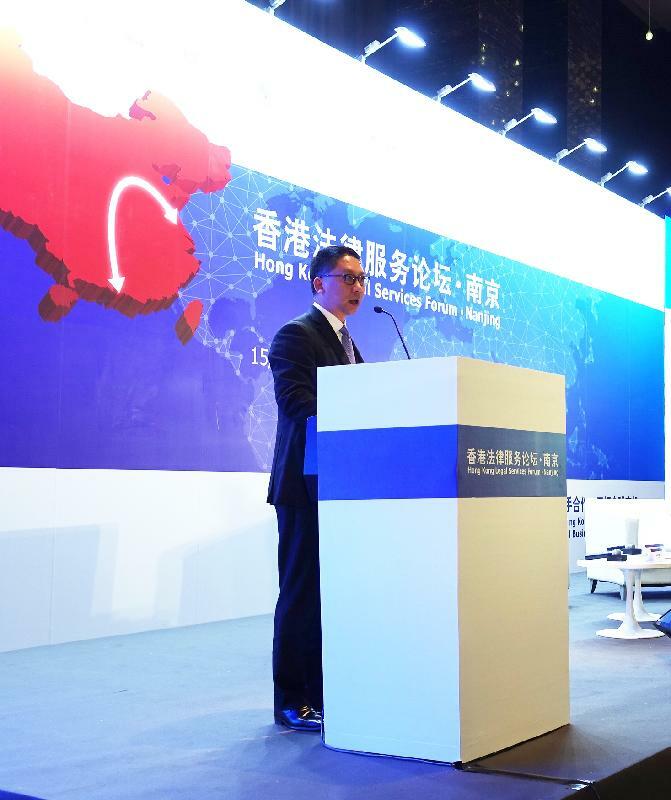 The forum was attended by around 900 legal and arbitration services professionals, government officials and business representatives from Hong Kong, Macau and Jiangsu. 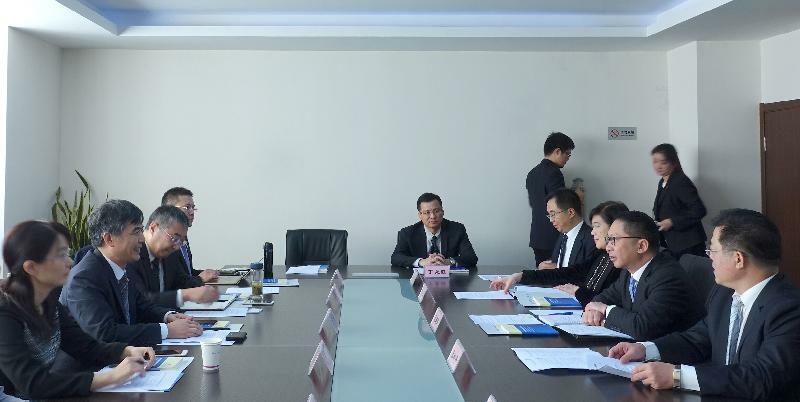 Topics discussed included legal risk management of Chinese enterprises' transnational operation, intellectual property rights, and investment risk management for the Belt and Road Initiative. A mock arbitration case was conducted to demonstrate how international arbitration can help resolve disputes effectively. 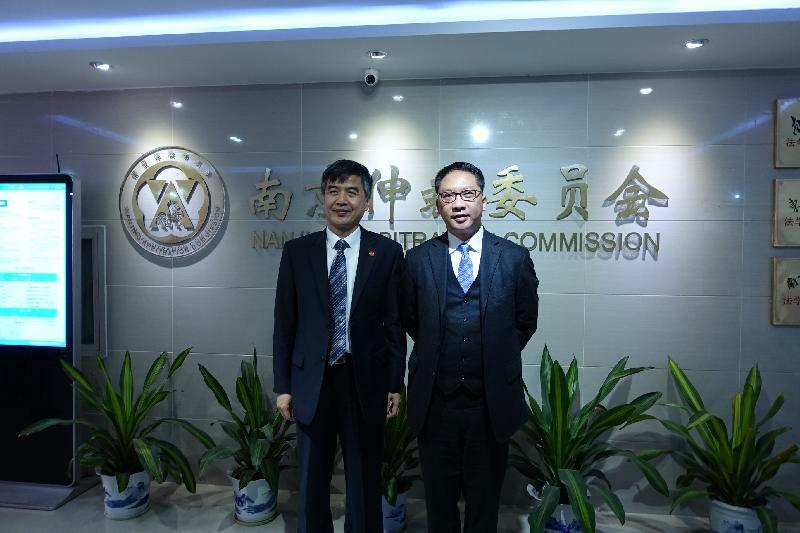 In the afternoon, Mr Yuen visited the Court of Arbitration for Hong Kong and Macao and met with leaders of the Hong Kong and Macau legal expert service team of Jiangsu Province to exchange views on legal issues. 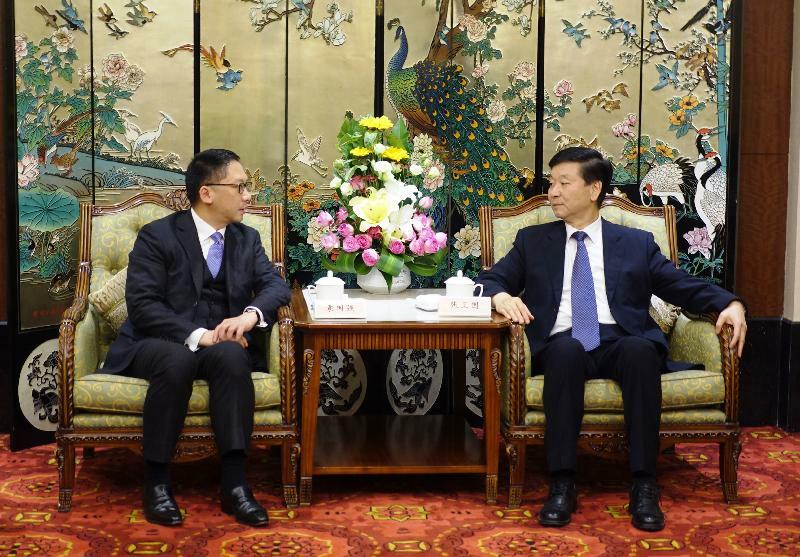 In the evening, he met the Executive Vice-Chairman of the Standing Committee of the Jiangsu Provincial People's Congress, Mr Zhang Weiguo, to discuss matters of mutual interest. Mr Yuen will return to Hong Kong tomorrow morning (November 16).